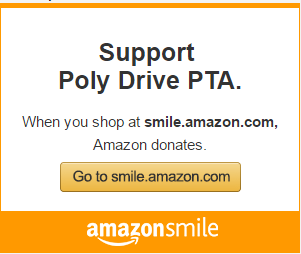 Poly Drive PTA’s mission is to partner with teachers, staff and families to provide the highest quality education to all our students. Our goal is to present educational opportunities, social activities and fundraising efforts to achieve excellence in learning and unity in our school community. We are dedicated to helping each child develop their unique potential – academically, socially and inter-personally. Our goal is to present educational opportunites, social activities and fundraising efforts to achieve excellence in learning and untiy in our school community. To promote the welfare of children and youth in home, school, communtiy, and place of worship. We are dedicated to helping each child develop their unique potential – academically, socially and interpersonally. Commitment: We are dedicated to promjoting children’s health, well-being, and educational success through strong parent, family, and community involvement. Accountablilty: We acknowledge our obligations. We deliver on our promises.